Below is a Hello Kitty Sushi toy (Kaitensushi), which I was given back in 2005/2006 from friends I worked with. Purchased if I remember correctly off ebay. Hello Kitty sits in the middle while little plates of Sushi move around her. 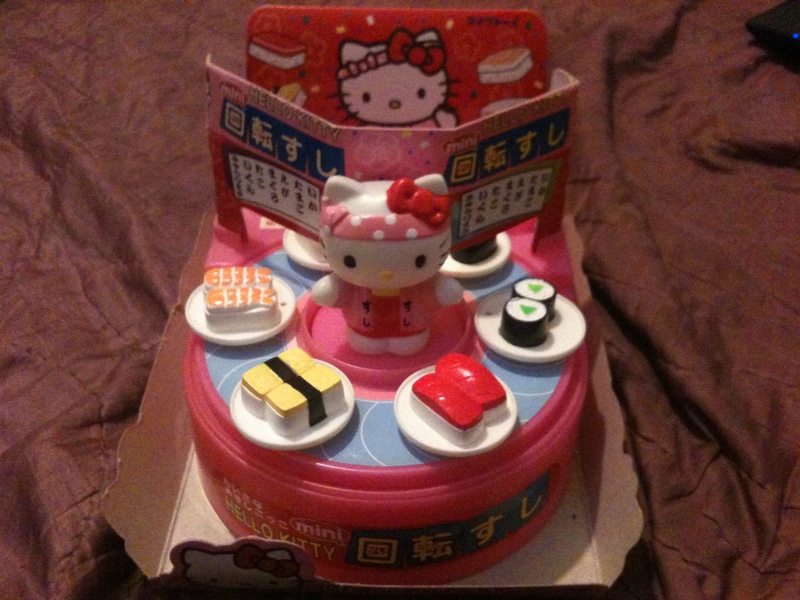 This entry was posted in My Hello Kitty Collection, Weird & Wonderful and tagged hello kitty, Hello Kitty products, Hello Kitty Toys, japan, Sushi. Bookmark the permalink.